Proudly standing before you is a 4 inch tall mini rose. I make them large and tall depending on the clients needs. Perfect for anniversaries or wedding gifts. 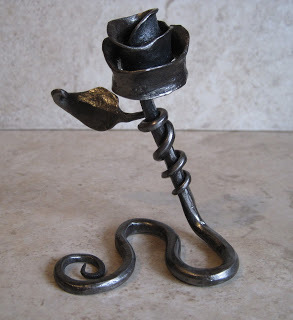 You can contact me at olsonironworks@gmail.com or call 218-686-9164 if you would like to commission one of these Roses or some other special gift for someone special. Great gift for the Wine lover. 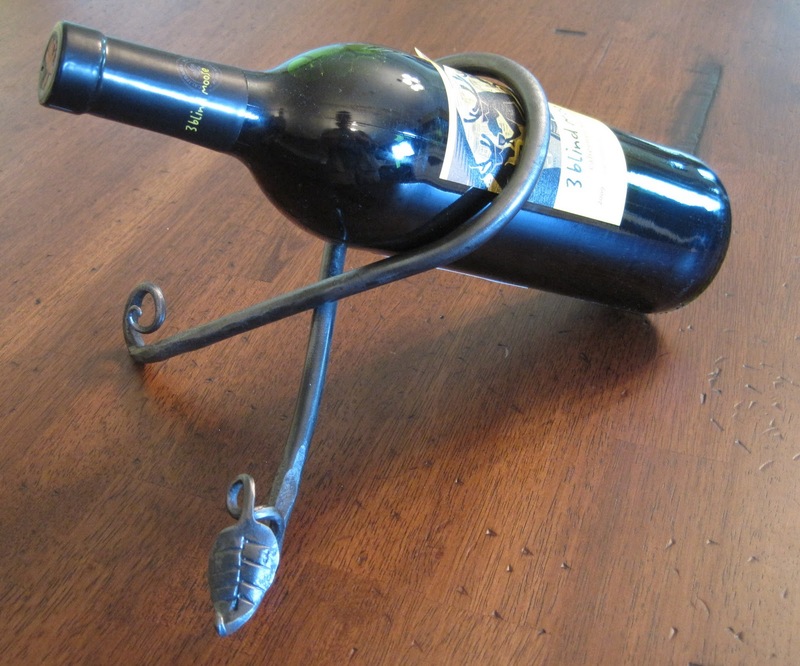 Here is a great gift for the “wino” who has everything. It is also a great anniversary, birthday, housewarming or wedding gift. 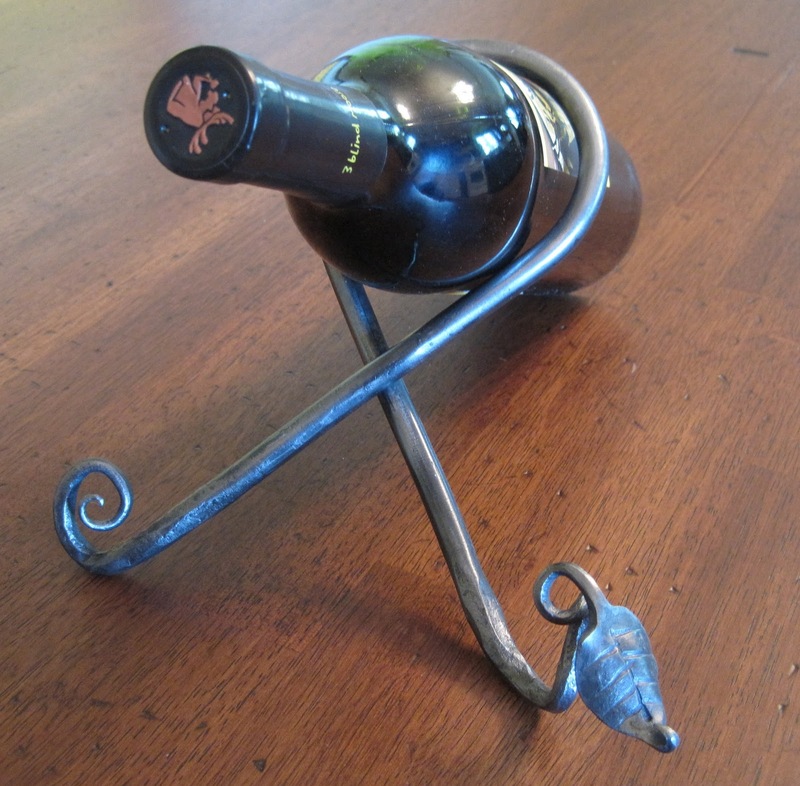 These Wine Bottle Stands are a very unique and wonderful way to display a wine bottle on your table. 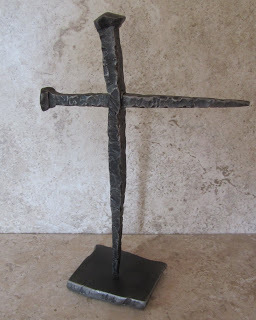 My steel crosses are made from solid pieces of metal stock. 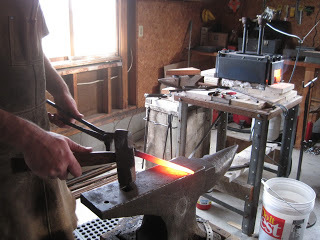 I hammer forge them into the Roman style nails that were used during the time of Christ. I then heat one of the nails up to a very bright glowing orange heat and hammer the cold nail through the hot one to create this powerful looking cross. I then add hammer marks to give the cross a textured old look to it. I’ve been commissioned to make these for weddings, anniversaries, confirmations, graduations and memorials. They are very powerful sculptures that stand out on a table top or shelf. I’m always proud to make these because I know they are being given to someone in a spirit of friendship, love and caring. 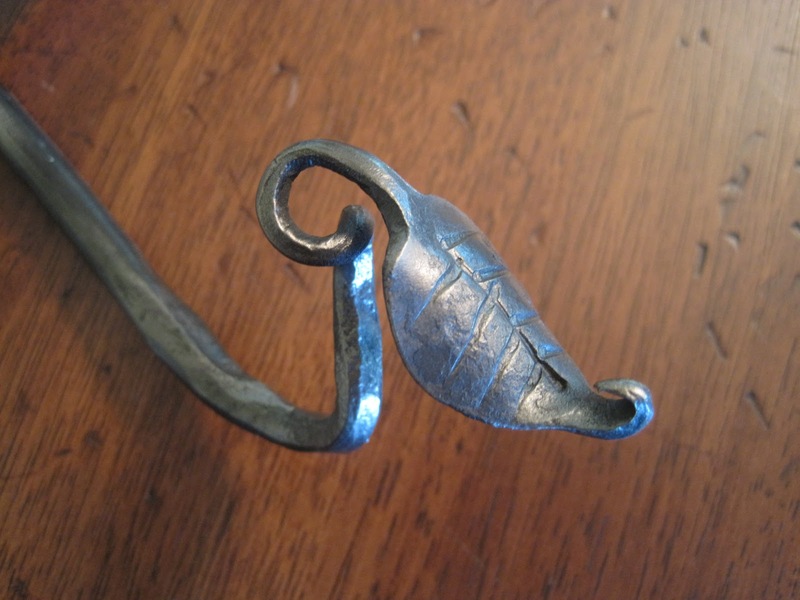 These are not Rail Road spikes. 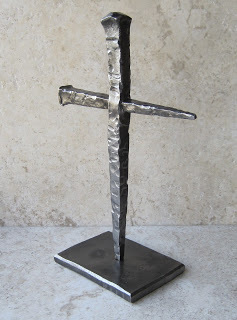 My steel crosses stand between 10 & 12 inches tall. 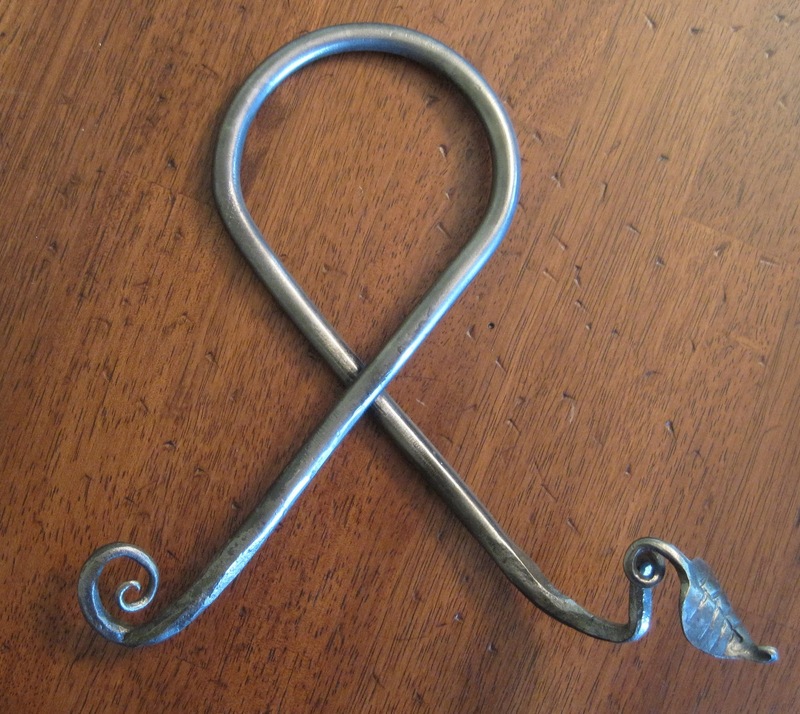 If you are interested in something you see here or have an idea of your own, I can be contacted at olsonironworks@gmail.com or 218-686-9164.